Dr. David Hanscom, an orthopedic spine surgeon, shows how his framework for helping his patients rewire their brain to cope with the effect of chronic pain has direct application to developing critical leadership skills. 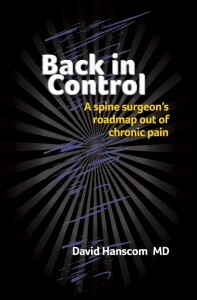 In his book “Back in Control: a spine surgeon’s roadmap out of chronic pain”, Dr. Hanscom offers a framework based on self-directed neuroplasticity, our ability to change the “wiring” in our brains, to help rewire the brain to cope with the effect of chronic pain. The insights in Back in Control are not only for chronic pain sufferers, they have direct application in how leaders can develop critical skills to effectively manage stress, anxiety, and anger associated with the work of leadership. The insights that Dr. Hanscom shares about the importance of developing the ability to “calm down” the nervous system will help leaders develop resilience, agility, and stamina to sustain leadership through difficult times. What was the background for writing “Back in Control” and what did you hope readers will get out of it? The insights about Mind Body Syndrome and how the brain can memorize and create pain were at the same time eye-opening and fascinating. Can you talk about MBS and how it has influenced your thinking about the way your patience experience pain? The idea that negative thoughts can be programmed in the brain has implications for how we develop leaders. What are your thoughts on the impact of what you call “Neurological Programming” can have on the way leaders approach making decisions, solving problems, and leading change in their organizations? You talk about sleep, anxiety, anger/victimhood as modifiers that impact how the brain experiences pain and the need to “plug the drain of anxiety and anger”. Can you talk about these modifiers? You say that Stress Management skills and the ability to deal with anxiety in a healthy way are critical to improving quality of life. Can you elaborate on this thought? In the chapter “reprogramming your Nervous System”, you talk about Dan Coyle book “The Talent Code” and how it has influenced your thinking about reprogramming the nervous system. Why is this book important and how does reprogramming the nervous system work? Practicing awareness is the first step that you recommend in reprogramming our brain. Why is this an important step and can you share with us some of the practices that benefited your patients? The Defined Organized Comprehensive Care (DOCC) project is a powerful approach to change and to reprogramming our brains and it has helped hundreds of patience gain control of their life. Can you share with us a couple of success stories from your practice? Can you walk us through the core components of the DOCC program? 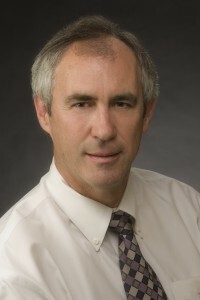 Dr. David Hanscom, M.D., practices at Seattle Neuroscience Specialists with Swedish Medical Center in Seattle, WA. He has expertise in adult and pediatric spinal deformities such as scoliosis and kyphosis. A large part of his practice is to salvage situations in which patients have undergone multiple failed attempts at surgery. He has successfully treated hundreds of patients for chronic pain.